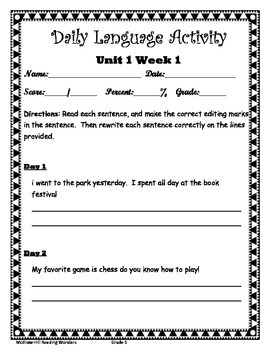 This is Unit 1 Week 1 Daily Language Activity for grade 5. 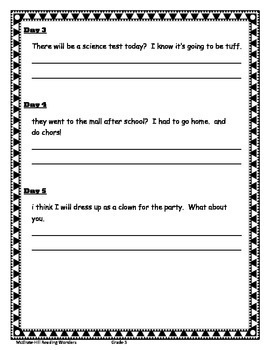 I created a hard copy, to pass out to students, to complete prior to the grammar lesson for the day. Please download this free copy to review the format. If this would be a great resource for you, then please download all of Unit 1. I will be working on completing all units in the program. Please keep checking back to download each unit as I complete them. This resource was created using McGraw-Hill Reading Wonders.